Kiwis can see the International Space Station as it flies over New Zealand's South Island and Wellington tonight between 7.25pm and 7.30pm. 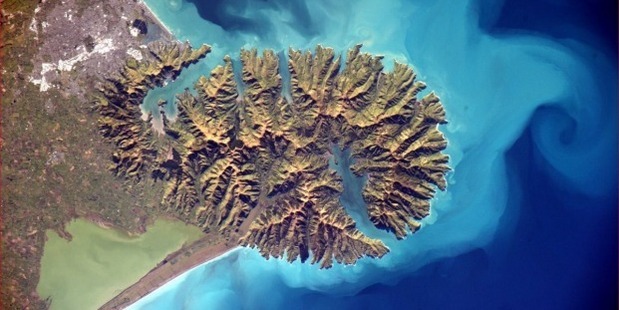 In honour of the fly-by, NASA astronaut Ignazio Magnani tweeted out some incredible photographs of New Zealand as seen from space. The pictures offer a glimpse of Otago, Christchurch and Banks Peninsula, Wellington and the South Island, all from an incredible perspective. The astronaut also posted incredible timelapse footage of the country which was recorded over the space of a week. Tonight, those at the bottom of the South Island will be first to see the station, as it will come in from the south-west and head in a north-east direction across the country. Magnani revealed the best times for select areas in the South Island to view the space station on Twitter. The ISS will be visible in Otago skies from approximately 7.27pm, moving to Canterbury at 7.28pm and onwards to Wellington at 7.29.